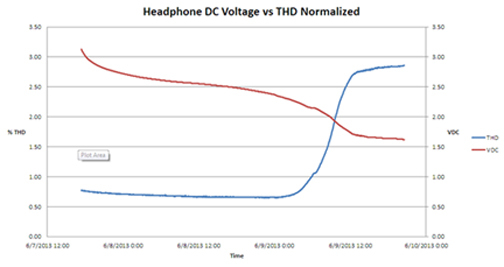 Active Noise-Cancelling Headphone Battery Life Test – Listen, Inc. 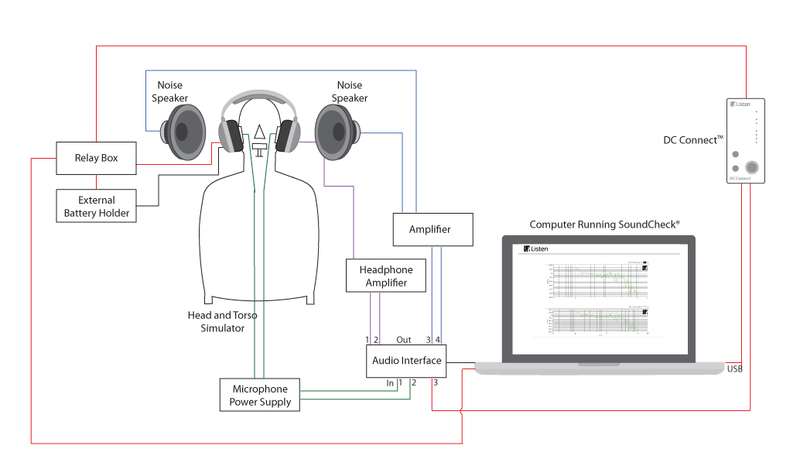 This sequence is designed to measure performance characteristics of Active Noise Cancelling (ANC) headphones while monitoring the DC voltage and current provided to the headphone by its batteries. The sequence first measures the passive attenuation of the headphone before moving into a loop. The loop plays a 2 minute pink noise stimulus at high output level to accelerate battery drain. 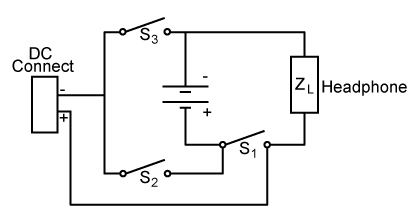 During this stimulus period, a current measurement is made by Listen’s DC Connect. Immediately following the stimulus, battery voltage is measured followed by acquisition and analysis of audio parameters (response, THD and THD Normalized). The active attenuation of the headphone is then measured followed by a series of post processing and Autosave steps. The looping continues until no output is detected from the headphone, when the device shuts down due to insufficient battery capacity. 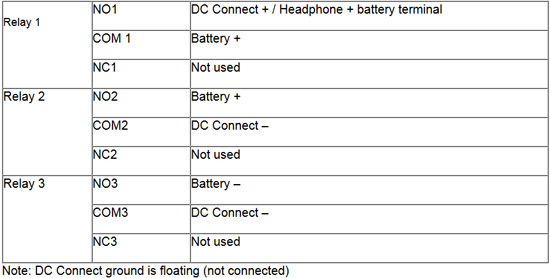 The sequence requires that the headphone’s batteries be mounted externally and the series/parallel connections needed for current/voltage measurement and general operation of the headphone are automatically managed by digital I/O addressable relays controlled from SoundCheck. Calibrate the two amplifiers as instructed in the SoundCheck manual. Calibrate the HATS ears as instructed in the SoundCheck manual. Locate the two loudspeakers in close proximity to the HATS ears and connect them to the respective left and right outputs of the audio power amplifier. Further sequence developmentThis sequence has been designed for simplicity and has been written for one channel only. 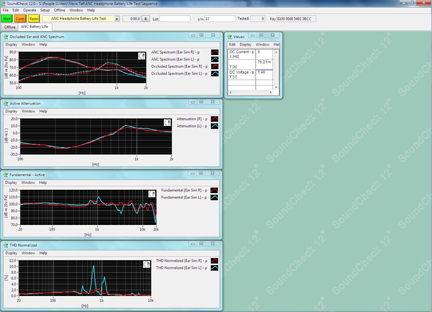 Input/output channel requirements could be reduced by only measuring a single headphone channel. This would allow for use of a 2 channel in/out audio interface. Sequence loop length is primarily dictated by the length of Step #14 (sig gen x2 + scope FFT) which is set to 5 minutes by default. Considering that some headphones may take 60 hours (or more) to discharge their batteries, the default setting can result in 700+ sets of data being recorded/saved by SoundCheck. To change the default, open both signal generators in step #14 and change the number in the duration field to the desired stimulus length (seconds). If these values are changed, the record delay value in the step must also be changed. Recommended value is stimulus duration minus 10 seconds. Stimulus level may also be adjusted based upon the sensitivity of your DUT. If the suggested National Instruments relay box and interface card are not available, alternate remote switching can be utilized, such as D I/O control via Listen AmpConnect. A schematic of the switch configuration is shown in Fig. 1 below. Adjust the search range values in post processing steps 28-30 to better suit your device. Create X-Y graphs from the data saved to Excel. An example is shown below.